Viz media has released the continuation of the Pokémon anime that takes place in the Johto region. Jump into the Johto league saga with Ash, Misty, Brock, and Pikachu. Watch as they take part in the Whirl Cup, catch Johto region Pokémon, and participate in the Silver Conference, otherwise known as the Johto League. 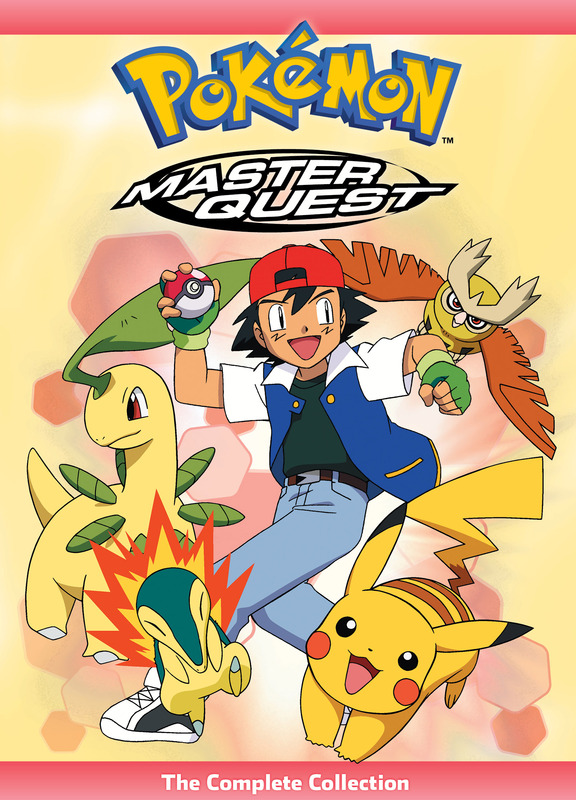 The box set has seven discs, which shows all 64 Master Quest episodes. Since the series wasn’t in high definition yet, these episodes are standard definition, and it feels like you’re watching them on Saturday morning all over again! Pretty straightforward set-up for the DVD'S as you pop them into your DVD player and start watching. You won’t get any special features for the box set which is a shame but this has been Viz’s formula for the Pokémon DVD’s. The idea of the whole saga being in one box set is good because when they were first released all those years ago, it came in multiple box sets. Issues I have with the box set is the lack of special features. Trailers for the Pokémon movies that came out during the Johto saga would have been nice to see. Plugging the Hoenn saga could have been something added as well. Pokémon character bios would have been welcomed too. That is something that wouldn’t have been too hard to implement. Make sure all the DVD’s work properly because if you receive this in the mail, some of the DVD’s might be loose/come out of their holders. The packaging is a little flimsy so better safe than sorry. Growing up on the Pokémon franchise, it’s good to see the anime coming out in box set releases. The anime should have been released like this years ago. The series saw its share of DVD’s but it never saw the full series box sets it should have. Hell, after the start of the Hoenn DVD’s, the anime never really saw too many full/partial series releases. This version of the anime has quite a few filler episodes; something the fan base kills this region on. However, it does have the first Pokémon League with Pokémon from another region, with the introduction of Blaziken. It is also when the animation style changed and was used for the Hoenn anime. All I have to say is that the Johto region has some of my favorite Pokémon and fans of the series will want to check this out. I would like to thank Viz Media for the review copy. Give me Totodile,Heracross,and Donphan or give me death!